Loving my new job, but full-time work takes some adjusting to, and I’ve found that my reading time has definitely dived! I’m hoping that once things sort of settle into routine, I’ll be able to read a little more. And in the meantime, I’ll do my best to get both reading and writing into my days! I asked for this book for Christmas, and got it from my husband. The premise of the story didn’t interest me in the slightest, but it was Rosoff, and she’s one of the very few authors who I will just buy a book because of her name. I have to say that this was my least favourite Rosoff novel (aside from the ending of What I Was!) 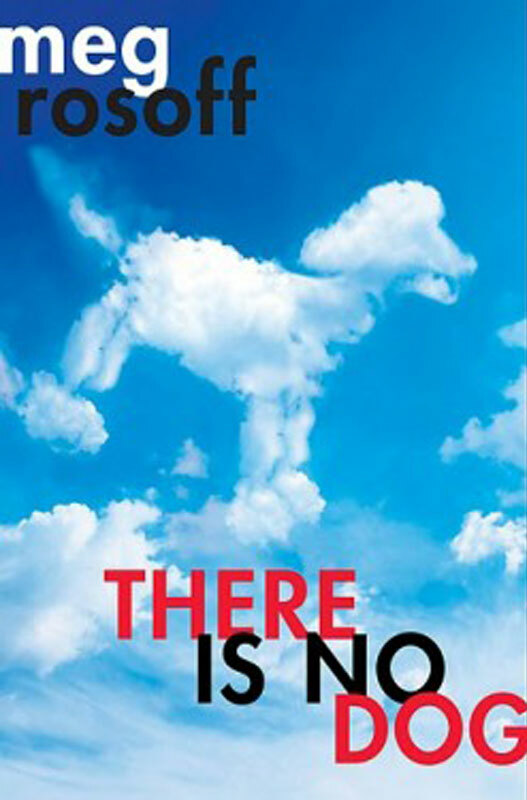 …There is No Dog is the story of God, who is actually a very selfish teenager named Bob who falls in love (lust, actually) with a human girl named Lucy. There is a whole host of other characters in this book as well, both on Earth and in the other dimensions/planets of Bob’s existence. It’s a very difficult book to explain, because there are many plot lines going on. Bob’s assistant, Mr. B, hates working for Bob, and longs to take care of something better than Earth. Bob’s mom, Mona, gambles away Bob’s pet Eck, a furry penguiny-anteater thing that Bob doesn’t really care about. Lucy has a grumpy coworker named Luke, and with Bob’s mood tied to the weather, God’s longing for Lucy creates absolute havoc for the people of Earth. These are just some of the things going on! There were a few things I didn’t like about this book. First, I didn’t care about the premise. There was too much going on, too many characters, and too vague of a description of what Bob and the other immortals (plus Eck) lived in. I wanted a much simpler story, and one that was a little more heartfelt, I think. I didn’t connect to the characters, either. Which is probably the point. Rosoff is wonderful about making characters complex – I don’t think there was a single character (except for maybe Eck) that was totally likable, or totally revolting. Everyone had their moments. Bob was ridiculously selfish, but also struggling to make sense of his life, and his job. Mr. B was suffering in a position without respect, but still sometimes was very uncaring. Lucy was sweet, but she lacked depth. Luke was foul-tempered, but all-around a good guy. These complexities were great, but I never knew who to root for, and thus I didn’t really feel satisfied with the ending of the book. No one seemed to learn much in this story. Again, I think this was probably the point, but it sort of made me feel like there had been no point in reading the story at all. Rosoff also constantly switched POV and tense in this story, which was rather annoying at times. A scene with several characters would be hard to follow, and the tense switching sometimes got me confused. I kept thinking that unpublished writers would be laughed at for writing like that! Lets you see the difference between trying to make a name for yourself, and already having one, eh? I should make it clear, however, that I did enjoy this story. I love Rosoff’s writing, the way she does her characters and descriptions. There were many times where I could imagine the magic her characters were experiencing, and the beauty they saw even in tumultuous times. Never did I want to stop reading the book. It was enjoyable, and I looked forward to seeing how it would end. I thought, in the beginning, that it would be a lot more heartfelt than it was, and I think that’s probably what threw me. Still a good read, and I’d recommend it if you like Rosoff. It also at times reminded me a little (very little) of Hitchhiker’s Guide to the Galaxy, so that may tell you what a small slice of the story is like! Okay, well I won't be going there. Thanks for posting!